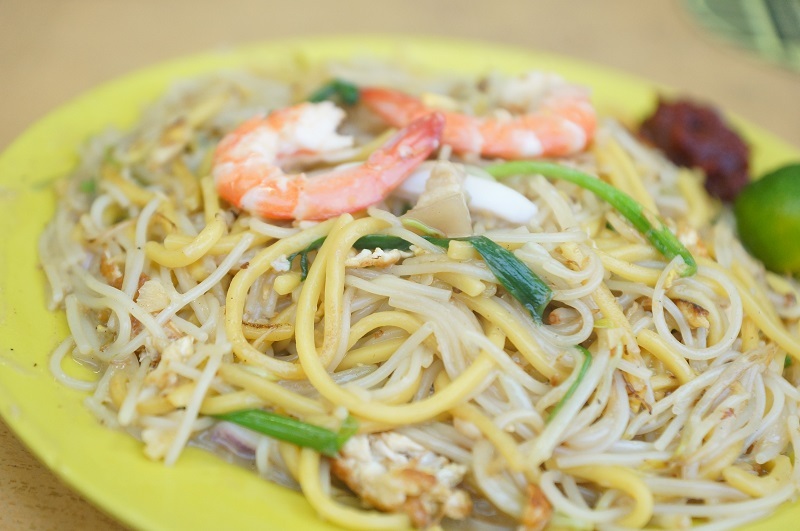 It may call Original Serangoon Fried Hokkien Mee, however, the original chef has passed on the baton and what coming out from the wok is plates of Hokkien mee cooked by his disciple. Regrettably, we never got the chance to try the Hokkien mee cooked by the original master and can’t ready compare and tell the difference between the master and his disciple. 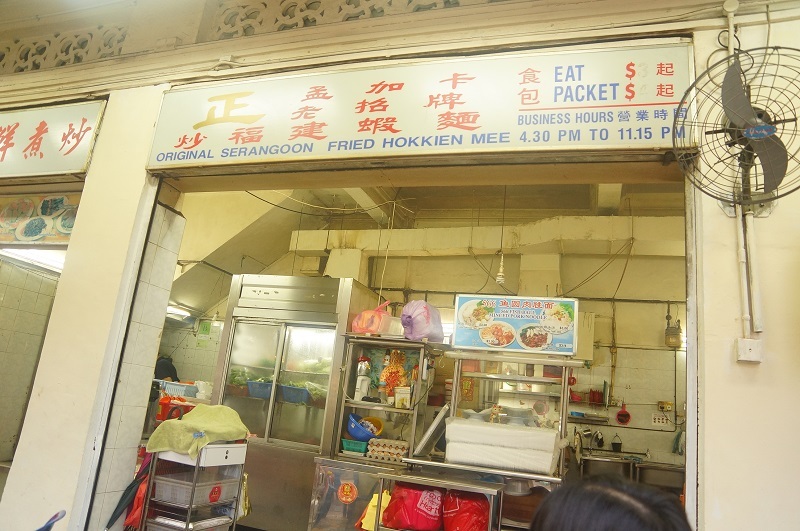 At the corner of Beatty Road and Serangoon road, Original Serangoon Fried Hokkien Mee operates from a stall in the coffeeshop, limited sitting capacity but there was no queue or crowd and our order was freshly cooked from the wok. The noodles were slightly gooey, thicker white bee Hoon is slightly more than the yellow noodle. The first mouthful of the mee was filled with the charred flavour, a very distinct one in fact. However, the eggs – one of the most important ingredients were too little and unable to bring up the extra flavour, seriously, you can’t be too penny-pinching with the eggs and forgot the important fragrance associated with this protein rich ovary things. 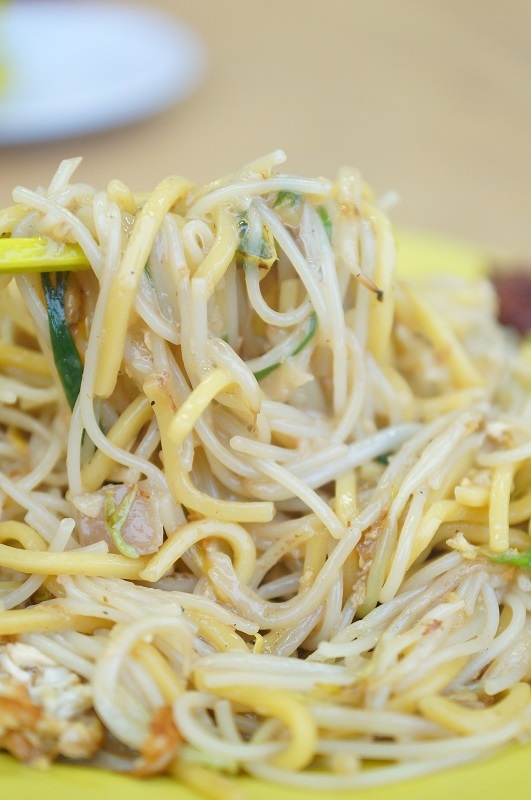 It is sad to say that most of the Hokkien stalls have miserably portion of eggs in between the noodles may be concerns over the cost incurred. The seafood flavour was mild and we think can be boosted with more flavourful stock. To some extent, we need the Nasi Lemak chili to perk up the taste a little. The prawn and squid were slightly overcooked and a bit too hard and tough. Opeh leaf is also available and good for take away. 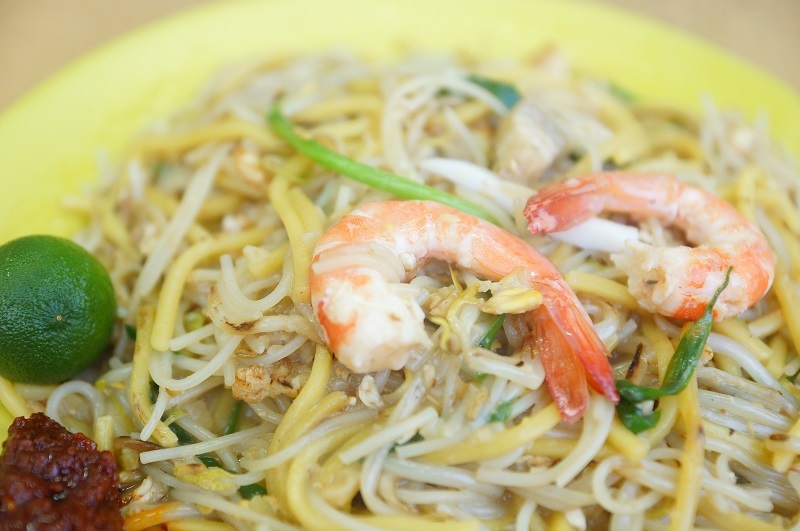 Our verdict, The Original Serangoon Fried Hokkien Mee may not excite our taste bugs too much but it is still a reasonable plate of Hokkien mee to fill the stomach. Is it still tasted the same as the Original Serangoon Fried Hokkien Mee decades ago cooked by the original chef? Next PostGeylang Lorong 29 Fried Hokkien Mee @ East Coast Road vs Swee Guan 芽笼罗弄29 炒福建面 - Who is better?